LONDON — A new study published today in The Lancet, the leading British medical journal, has found that smokers outlive nonsmokers — by nearly five years on average. The study’s findings were so unusual that even cigarette manufacturers were skeptical even though the study seems to be valid. A new study conducted by leading British and American researchers proves that smoking is good for you. The study, which followed a group of 10,000 smokers for 20 years, contradicts decades of established science, which had previously determined smoking to be a leading cause of disease and death. It was funded by the National Health Service and the U.S. Centers for Disease Control and Prevention — with none of the funding coming from tobacco companies. Half of the smokers were in the United States and half were in Europe and Great Britain. “The psychological effects of smoking, and certain social patterns among smokers, appear to outweigh the physiological dangers,” said Dr. Morton Fumar, one of the scientists who led the study over the past two decades. The research team consisted of top oncologists, psychologists and an anthropologist. Time spent relaxing, breathing deeply, taking a few minutes away from work and socializing with peers, has been shown to increase the lifespan of smokers by an average of 4.7 years, the study proves. These factors outweigh the presence of dioxin, radiation, carbon monoxide and 589 other carcinogens found in cigarette smoke. Pipe smokers fared even better, living an average of 6.9 years longer than nonsmokers, because those who smoke pipes tend to be contemplative. But cigar smokers only live three years longer on average, due to their competitive nature and other factors. 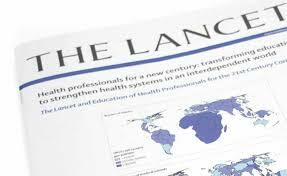 The Lancet, the leading British medical journal, published the study today. Smoking seems to be a factor involved in the trend toward men’s lifespans catching up with those of women, a trend doctors had not been able to comprehend until now. The longitudinal, international study demonstrated that the younger someone starts smoking the longer they live. About 200 of the study’s participants started smoking before the age of seven. In other words, smoking is spiritual, and produces spiritual benefits. Native Americans have known this for centuries, and have used tobacco as one of their most cherished offerings to nature spirits. Chief Joseph Wheezing Bull, the grandfather of Joseph Panting Bear, lights up. Photo: Native American Archives. “Smoking is good,” said Joseph Panting Bear, the medicine man for the Lenape Indians in New York State, whose average lifespan is 79 years. 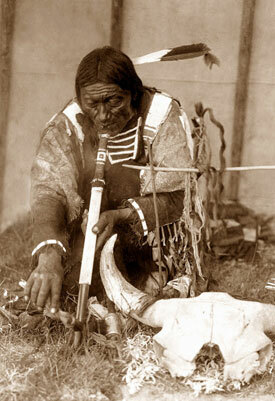 “Smoking honors the spirit of the land. Smoke is the connection between man and spirit,” he added. Cigarette manufacturers were reluctant to celebrate the news. Of the six cigarette makers contacted for comment, only one returned the phone call to Science News Service. Save April Fools Day! Don’t Let Trump Destroy This Too! Who Needs Astrology When You Have Haruspexy?